Zombie stories have never been my favorite—they tend to take a tired thing and beat it to its last gasp in a not-too original way. However, I found several gems in 2011’s The Zombie Feed, Vol. 1; each story offers a thrilling, interesting, and refreshing twist on the trope. Not one would I consider a “standard” Zombie story. If my statement still doesn’t entice you, consider this one story alone: “Goddamn Electric,” by K. Allen Wood. 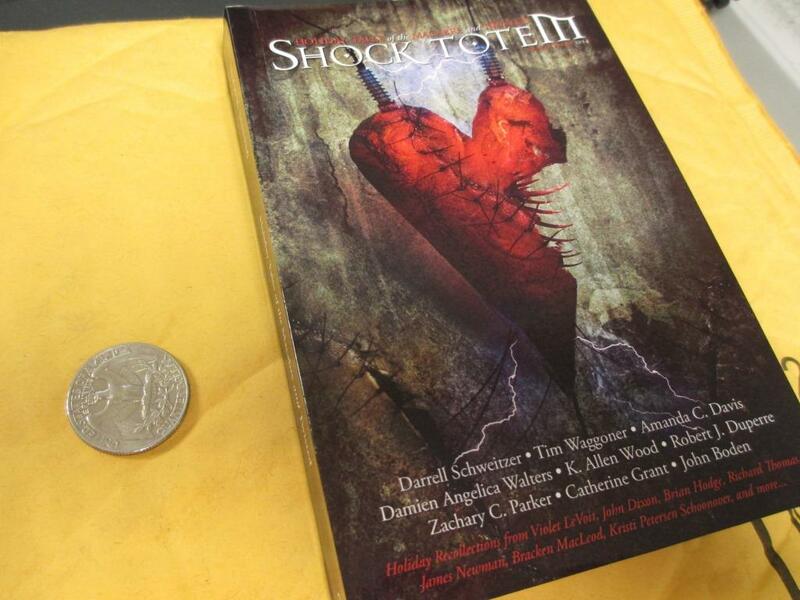 The special holiday issues of Shock Totem come in this neat little half-sized format…perfect for the pocket or purse! Stop by the Strawberry Fest this weekend! I’ll be signing books at the New England Horror Writers booth at the South Windsor Strawberry Fest and Craft Fair this weekend. Joining me will be Rob Watts (Hudulfolk), Stacey Longo, Robert Duperre (The Rift Series), K. Allen Wood (Shock Totem) and Jesse Young (The Rift Series). 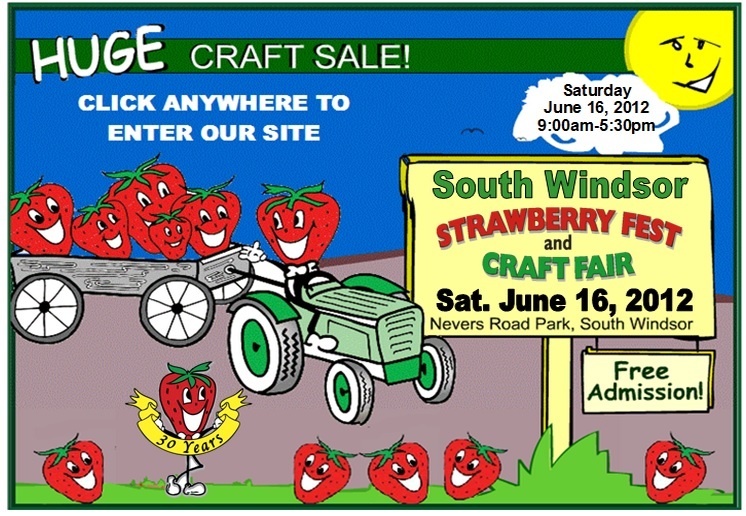 The fair, located at Nevers Road Park in South Windsor,CT, will run from 9 a.m. to 5:30 p.m. Saturday, June 16. I enjoyed this collection for two reasons: multi-authored anthologies, just like single-story collections, can be as uneven as chocolate chip cookie dough ice cream: there’s vanilla, vanilla, vanilla and then good stuff, vanilla, good stuff, good stuff, good stuff. Apex Book Company’s Zombie Feed: Volume 1 is no exception to this rule—save for the fact the good stuff is SO good the collection is worth owning just for those. Second, because I always thought there were only so many things you could do with the Zombie trope—sooner or later, I assumed, ideas would be repeated—I was a little apprehensive about purchasing an entire (and my first) collection of Zombie stories for fear I’d be bored. But the writers in this collection proved me wrong—each story does offer a thrilling, interesting, and refreshing twist on the trope. Not one would I consider a “standard” Zombie story. Exemplary tales of what fine horror fiction should be—edge-of-your-seat suspense combined with solid character/conflict/crisis/change or hero structure and excellent use of literary device—were K. Allen Wood’s “Goddamn Electric” and Kristin Dearborn’s “Rabid Raccoons.” Seriously, if you don’t want to spend the cash on the print edition, go get the Kindle edition just to read these two. If all horror genre stories were written as well as these, horror might have a shot at getting more recognized by the literary community. (I’ll note here I had no idea why these two were shoved at the end—in my opinion, the opening tales were nowhere near their caliber for various reasons). Other stories that made my favorites list were Lee Thompson’s “Final December Day,” because the main character only has so many hours to resolve what we all have at one time or another that normally hangs on for years: regret; Daniel I. Russell’s “Broken Bough,” which is so haunting and disturbing I’m still bothered by it (it really cuts to the core of loss and the ending was a total shock); Ray Wallace’s “Twenty-Three Second Anomaly,” which ratcheted the tension so well I was disappointed when I got to the end; Joe Nazare’s “The Last Generation,” which ended on such an unexpected bang I just went “Wow!” (actually, I said, “f*&^, wow!” which is even rarer for me), and Lucien Soulban’s “The Fare,” which I liked because it was almost a Poe-Trigger-Theory piece. If I had one criticism of this collection, it would be the typos and grammar errors in a few of the stories; I felt they were obvious and definitely should have been caught. In this case, however, this collection doesn’t deserve to be knocked out of the running because of those errors. Also, remember that just because I had some favorites doesn’t mean everyone will agree with me…one of the great things about multi-authored collections is there’s something for everyone, and some of the stories I didn’t mention were still of merit. If you like Zombie stories or even if you just want something different to read, I highly recommend Zombie Feed: Volume 1. It’ll remain on my shelf as one I’ll re-read a few times for many years to come.